It has been 11 years since the onset of the 2008 global financial crisis. The economic emergency started in the United State’s subprime mortgage market, and soon snowballed into an international crisis. Are you curious to find out how you can protect yourself against such crises in the future? Today, we’ll explore books by three authors that give us an insight into the failed policies, corporate greed, and dogmatic “too big to fail” thinking that led to the appalling financial crisis. We start off with one of the events that is thought to have played a major role in the unfolding of the global financial crisis—the collapse of Lehman Brothers. As many banks and other financial institutions had Lehman stocks, the bank’s demise caused huge financial losses that rippled through the global economy. What happened at Lehman Brothers and why did the government allow such a significant bank to fail, with aftershocks that rocked the global economy? 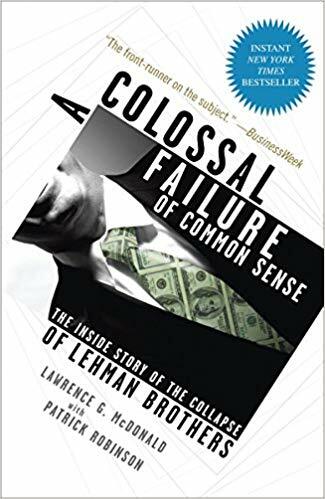 In A Colossal Failure of Common Sense, a former Lehman Brothers Vice President, Lawrence McDonald, gives the answers. The book offers a close-up view of various participants in the Lehman collapse, from those who saw it coming with angry certainty, and those at the top whose misplaced greed for money finally led to the demolishment of the bank. If you are looking for a book that explains the 2008 financial crisis well, you’ll have to pick this one up! The Big Short tells the story of several key players, like banking analyst Meredith Whitney and outspoken hedge fund manager Steve Eisman, who believed that the collateralised debt obligation (CDO)—financial tools that banks use to repackage loans as products that can be sold to investors—bubble was going to burst before others did. Therefore, instead of losing money during the crisis, they actually profited from it! 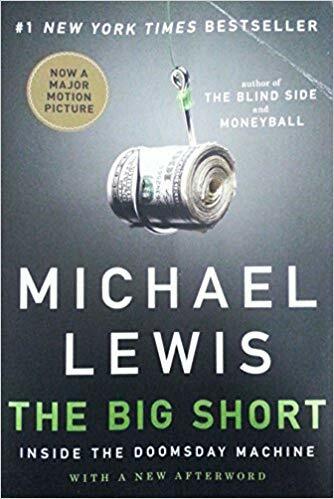 Author Michael Lewis traces the crisis from its origins in the mid-1990s through the bursting of the bubble that began in 2007, and highlights the criminal irresponsibility of the bankers, the investors, and the bond traders that created the opportunity for such a large-scale corruption. And for those scratching your heads over financial terms, you will be happy to know that the book explains complex terms like subprime mortgage bonds and CDOs in a clear way, allowing for the book to read like a fast-paced thriller. 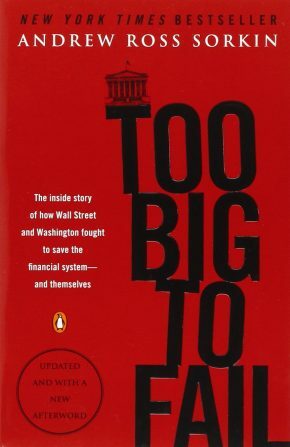 We end off by stepping behind the scenes of the global financial crisis in Too Big to Fail. From the corner office at Lehman Brothers to secret meetings in South Korea, financial journalist Andrew Ross Sorkin delivers a moment-by-moment account of how the crisis developed into a global storm. The book is less about how the crisis came about, but more of the collapse and restructuring of the investment banking system after the crisis happened. It focuses on the perspectives of the leaders of the major financial institutions and regulatory authorities—powerful men and women in finance and politics who grapple with their ego, greed, and ultimately the fate of the global economy. Sorkin’s fascination with these big profiles makes the book a real-life thriller with a cast who thought that they were too big to fail.